Iron benefits are undeniable. This is a vital mineral for a healthy body and mind. Iron is an essential mineral responsible for many functions in the human body. From sustaining healthy skin, hair and nails, as well as working to produce adenosine triphosphate (ATP; the body's main energy source), iron is one mineral we can't live without. But it may be the fact that it's the main carrier of oxygen throughout the human body that makes it most essential. 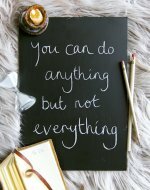 Too much or too little can wreak havoc on your health. If you're lacking in iron, then your body won't be able to make enough healthy oxygen-carrying red blood cells, and without enough healthy red blood cells, your body won't get the oxygen it needs. This is known as iron deficiency anemia. Based on statistics presented by The World Health Organization, iron deficiency is the leading nutritional disorder worldwide, while The National Institutes of Health states that, "...as many as 80% of the world's population may be iron deficient, while 30% may have iron deficiency anemia." "If you're not getting sufficient oxygen in the body, you're going to become fatigued. That exhaustion can affect everything from your brain function to your immune system's ability to fight off infections. If you're pregnant, severe iron deficiency may increase your baby's risk of being born too early, or smaller than normal, says Paul Thomas, EdD, RD, a scientific consultant to the National Institutes of Health, Office of Dietary Supplements. It is a vital element for muscle health. It is present in the muscle tissues and helps provide the supply of oxygen required for contraction of muscles. Without it, muscles lose their tone and elasticity; muscle weakness is one of the most obvious signs of anemia. Increased development of the brain is also one of the many benefits of iron. Since oxygen supply in the blood is aided by iron and the brain uses approximately 20% of the blood oxygen, it is directly related to brain health and its functions. Proper flow of blood in the brain can stimulate cognitive activity and help create new neural pathways to prevent cognitive disorders, such as Alzheimer’s disease, so iron intake and its subsequent brain oxygenation is essential. Iron deficiency is one of the causes of the restless leg syndrome. Low level of it in the blood is a major cause of the condition, so proper intake of its supplements in required levels as per the doctor’s recommendations can cure this problem. This is connected to muscle spasms, which can be one of the symptoms of its deficiency. The problem lies not in what you eat, but in how well your body absorbs nutrients, and iron can be tricky. The absorption of iron can be affected by several factors. Even though most foods contain nonheme iron, it's heme iron that gets absorbed easier in the body. 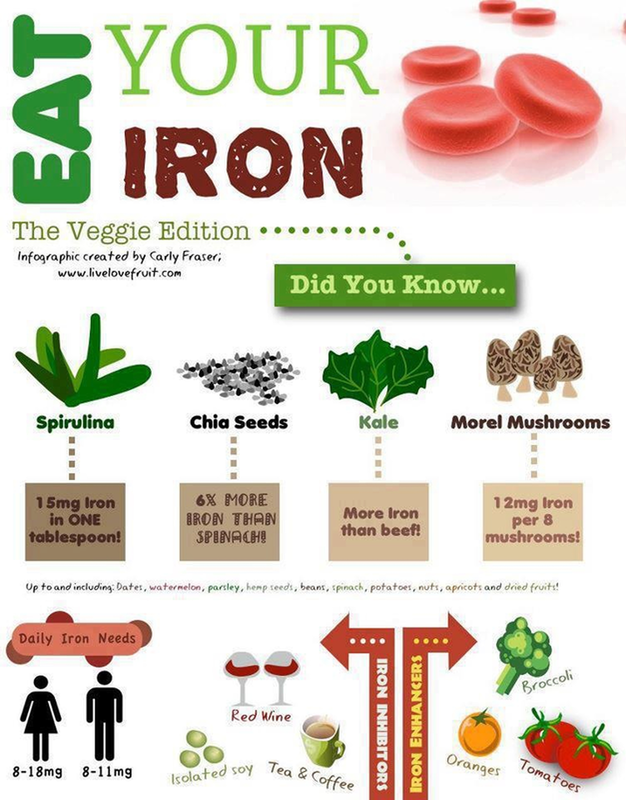 Additionally, most healthy adults absorb about 10 - 15% of the iron they ingest. iron supplements. Speak with your doctor about which supplement best meets your needs because iron supplements can cause various side effects, as nausea, diarrhea or constipation, and dark stools. On the other hand, if most of your foods contain nonheme iron, it's better to decrease your intake of drinks that contain tannin, such as coffee, tea and wine, because they further decrease the absorption of iron. An interesting fact about iron is that infants are born with a 6-month supply which means they require less amounts than adults. As we grow and develop, the lifestyle choices we make concerning food affect how our body absorbs and benefits from iron. But the importance of this mineral cannot be stressed enough, mainly because lack of it causes a slew of serious health problems. Take a good look at your diet, see which foods you'd like to add more of or do without all together. Another good tip is to make sure your food combinations enhance the absorption of iron, rather than diminish it. If you feel like you may be iron deficient, talk to your doctor about getting a blood test and a supplement that helps replenish iron levels. Help your whole body body relax. FREE PROGRESSIVE MUSCLE RELAXATION HYPNOSIS.